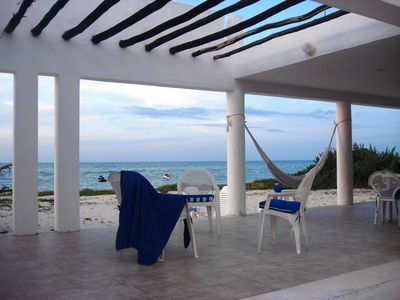 1BR Resort Vacation Rental in Villas Quintana Roo, Q.R. 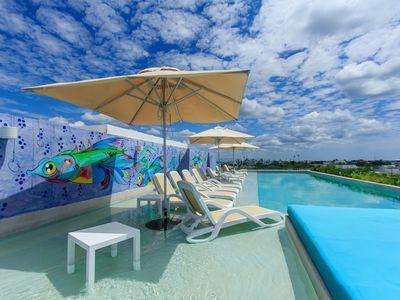 The Bliss Resort, part of Vidanta Resort Collection, has a modern boutique resort feel in tropical setting conveniently located approximately 30 minutes from Cancun Airport (CUN) and situated between Cancun and Playa del Carmen. Stay must be a minimum of 4 days. In general, stays of 7-8 days are available but it may be possible to have up to 3 weeks depending on the timing. Christmas, New Year, and Easter are not available. This suite has 1 BR (King size bed), 1 Ba, a kitchen with a dining table in an open floor plan, a living room with a queen pullout couch, and a balcony off the LR. It comes with upscale amenities. The resort is immaculate, safe and quiet. 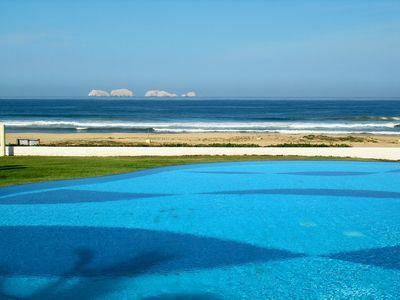 There are many pools, including an adult-only with a swim-up bar. 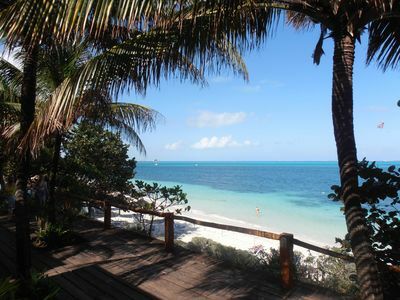 There is a private beach that is quiet and relaxing with great shade and chairs available. There are many spa services available. There are multiple restaurants, including an option for private dining on the water. There are lots of opportunities for entertainment on site, including Cirque de Soleil Joya. 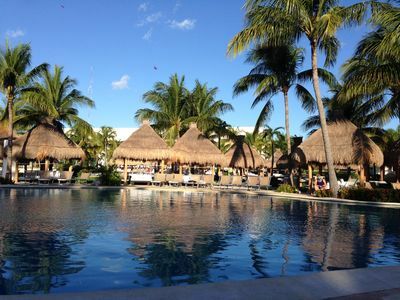 Playa del Carmen is close to lots of Mayan ruins - Belize is a few hours away. There are water parks, amusement parks and lots of outdoor activities nearby. Horseback riding, boating of all sorts (including a submarine) and fishing are close. Lots of opportunities to interact with nature -there is great snorkeling and scuba diving, and there are turtles, dolphins and other wildlife close by. There is also 5th avenue, a pedestrian street with restaurants and night life close by. 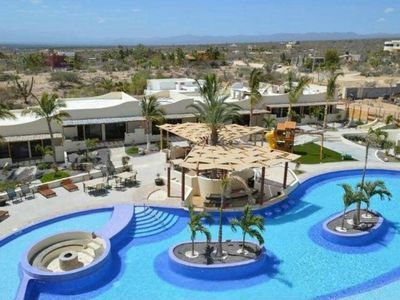 This is a fabulous resort. It's impossible to not have a great time, whether you are looking for rest or excitement and whether it is a romantic getaway or a family vacation! 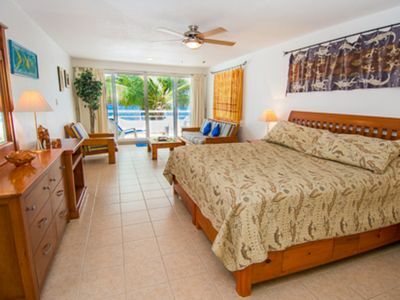 1 bedroom hotel in Villas Quintana Roo, Q.R. 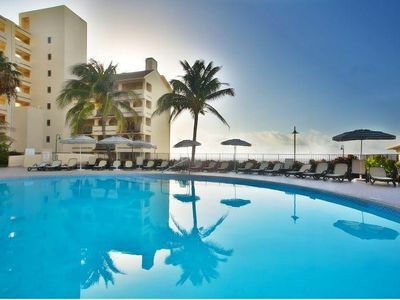 2 bedroom condo in Villas Quintana Roo, Q.R. 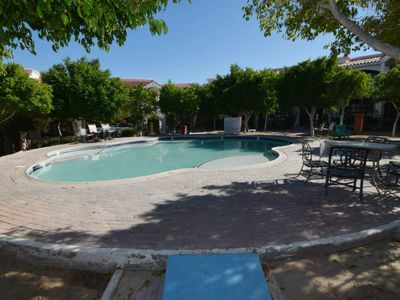 Beautiful PH located just minutes from 5th Av and the beach! 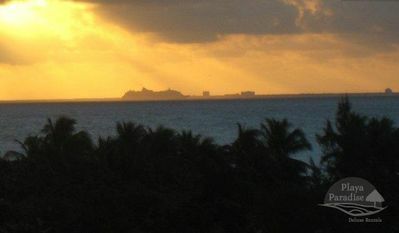 3 bedroom condo in Villas Quintana Roo, Q.R. 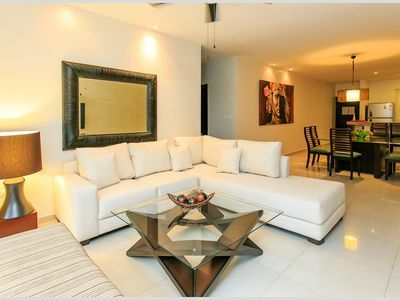 3 bedroom apartment in Villas Quintana Roo, Q.R. 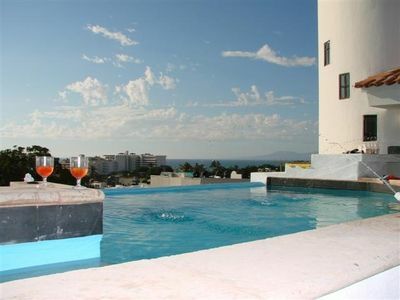 3 bedroom house in Villas Quintana Roo, Q.R. 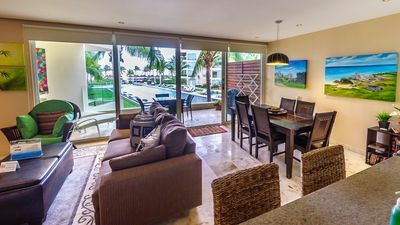 1 bedroom condo in Villas Quintana Roo, Q.R. 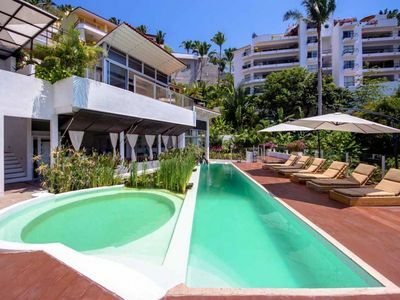 1 bedroom villa in Villas Quintana Roo, Q.R. 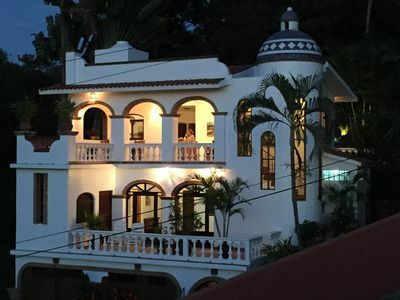 5 bedroom villa in Villas Quintana Roo, Q.R. 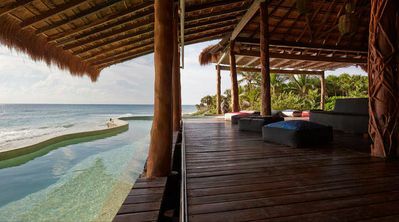 3 bedroom villa in Villas Quintana Roo, Q.R. 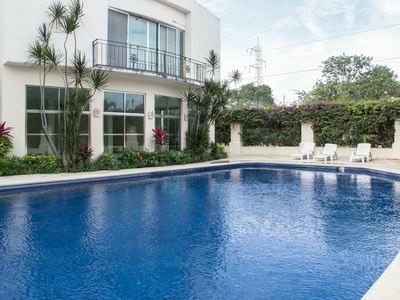 2 bedroom villa in Villas Quintana Roo, Q.R. 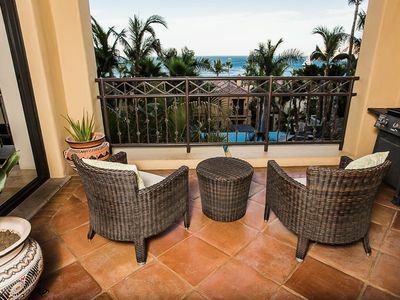 Miramar #204, cozy Oceanfront 1 bdrm condo, 2 miles north of town!! 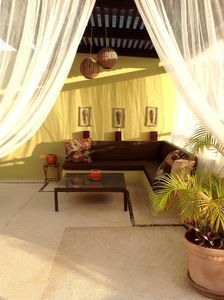 5 bedroom house in Villas Quintana Roo, Q.R. 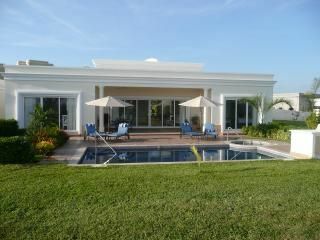 4 bedroom house in Villas Quintana Roo, Q.R.